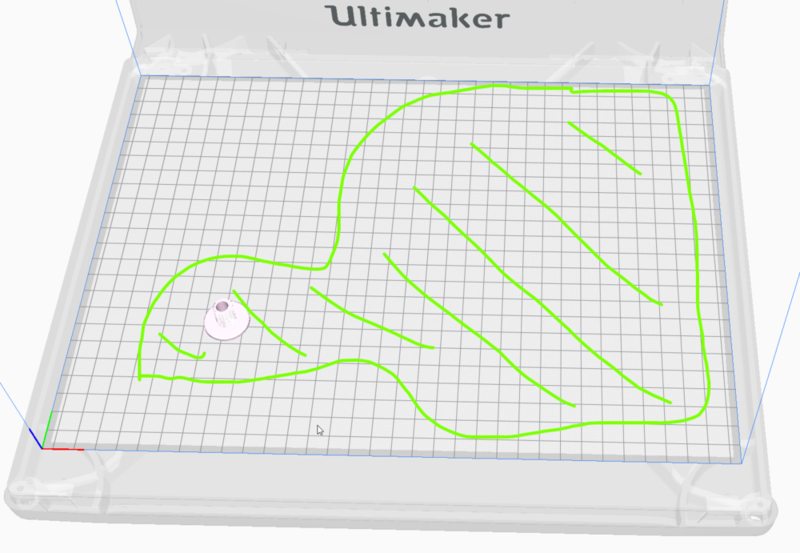 I am currently thinking to upgrade my Ultimaker 2 with the Duet3D wifi board, mostly to help the noise reduction of the stepper motors, which is quite loud on my printer. guess what﻿ I really learned form this thread was that I don;t need the﻿﻿ damn UM3 electronics to make the UM3 head work. What brand of ABS did you use?, Any should work but I think most brands of ABS need a higher printing temperature than the Ultimaker ABS default. Also (partially) closing the top of the printer to get a heated chamber can help when printing ABS. 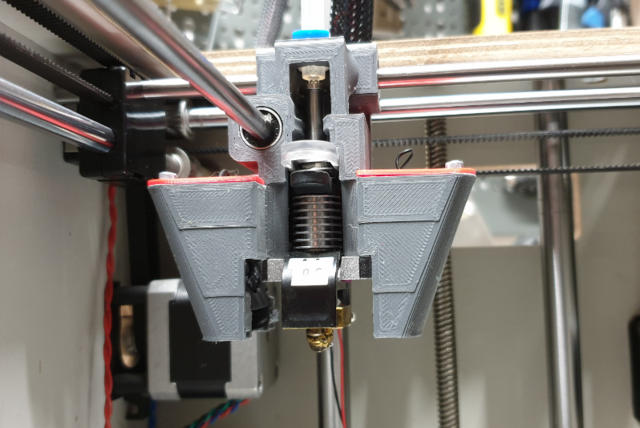 One visible change we made is that the filament parking location moved about 10cm up and is now located outside the print core at a visible location in the bowden tube. Advantage of this is that a faster changing filament or changing print core can be executed since we can skip heating the print core. 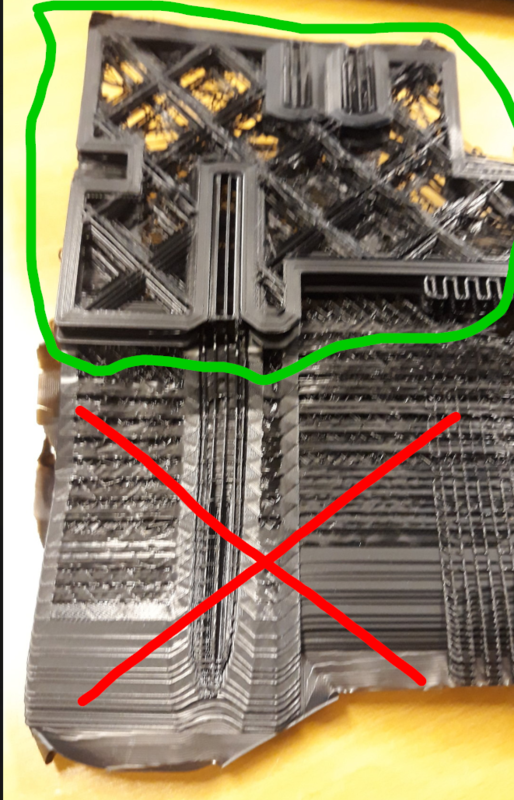 I'm confused, there was no need to heat the core before, I always change filament manually and I never had to heat before. In the case of Xstrand and other "filled" materials you better use a hardened nozzle, like a 0.6mm Olson ruby. Filled materials can also wear out you feeder, so if you want to use a lot of filled materials you may want to upgrade the feeder to a bondtech. 1: you can drop as many items on the build plate as fits your printer. This is a good idea to combine smaller prints inmto one big one for overnight printing, so you utilise the machine fully. It's less logical for already long prints, as it adds risk, if the print fails you have multiple failed prints. 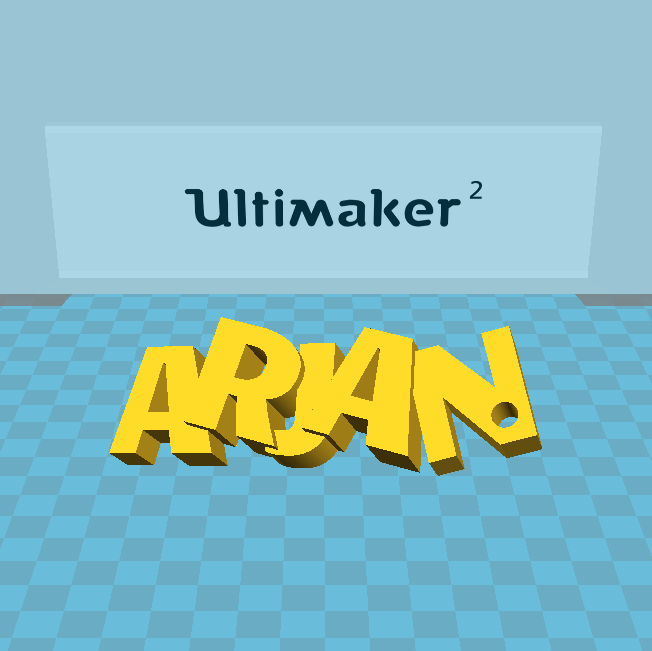 3: not sure what you want to print from the picture, but the simple structures (the white building blocks?) could be a lot faster made traditionally in wood f.e. so you only print the complex parts? I would advise you to keep a close look on your printer when using "Gradual Infill" settings. 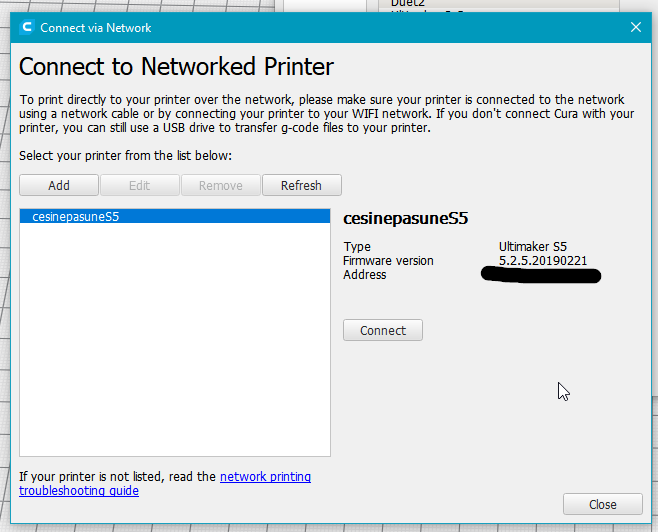 this setting has caused my printer to fail badly more then ones. And one of the times it was close to do damage to the print head. Yep. 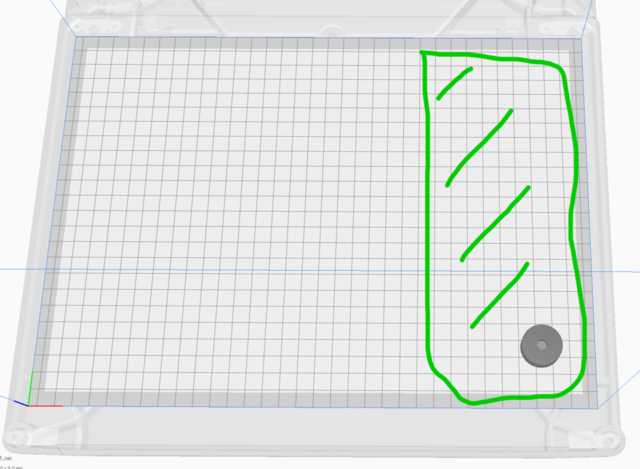 That cura behaviour annoys me ever since cura 2. It's even so that a different color of pla forces you to override. And indeed having to go to the webpage for the override is super confusing. 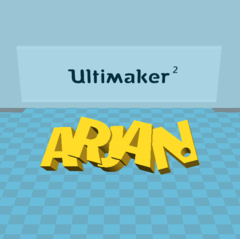 The interface is a bit better in cura 4 but it's still a big annoyance. Sounds to me like a mechanical thing, did you check all the screws and springs? maybe tighten the springs more? Just make them pretty tight, but be carefull to keep a bit of space between the power connection block (back left) between the bottom plate and the heated plate. As you mention it's on all 4 machines, common sense dictates that is likely something in your workflow, and not the machines... did you change anything in your way of working with the machines? Think that reduces the added benefit a lot, I feel you can still reduce the amount of probing more. Sliced a tiny part, but it still probed the height of both nozzles, and it probed about the hole green area, not only the relevant area around the object. And are you aware of the visibility settings button? 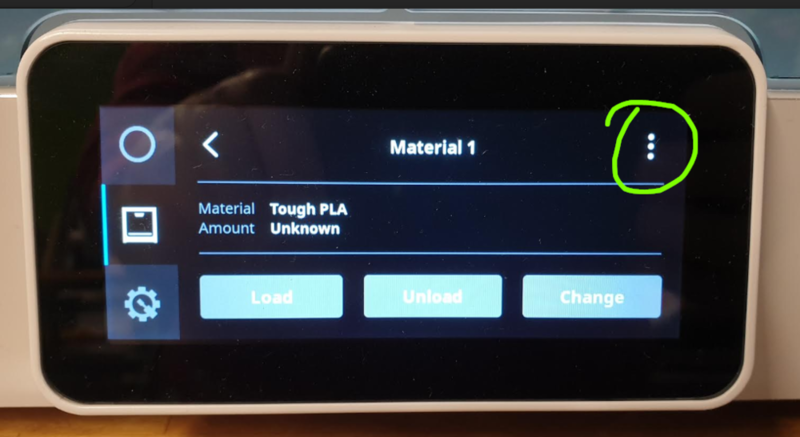 you may want to select "show all" to see if there are messed up settings..
Just change material manually, open the lever on the feeder and pull it, it will give you a feel for how many resistance there is. I only change material manually on S5 and UM3 and never had the material stuck, the retraction at the end of a print seems to work just fine for me. 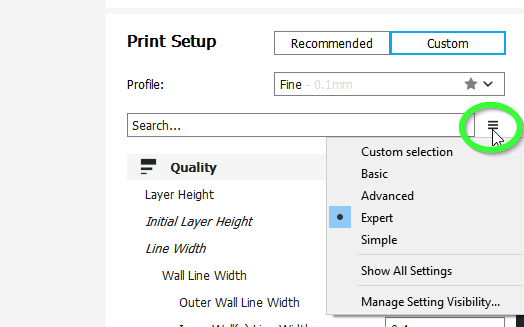 It may be a bit oldschool but the manual way is just a lot faster... set the material type by selecting "select type" in the menu behind the dots.. If you load manually push it all the way to the end and then retract a few mm to avoid a too big prime blob.. 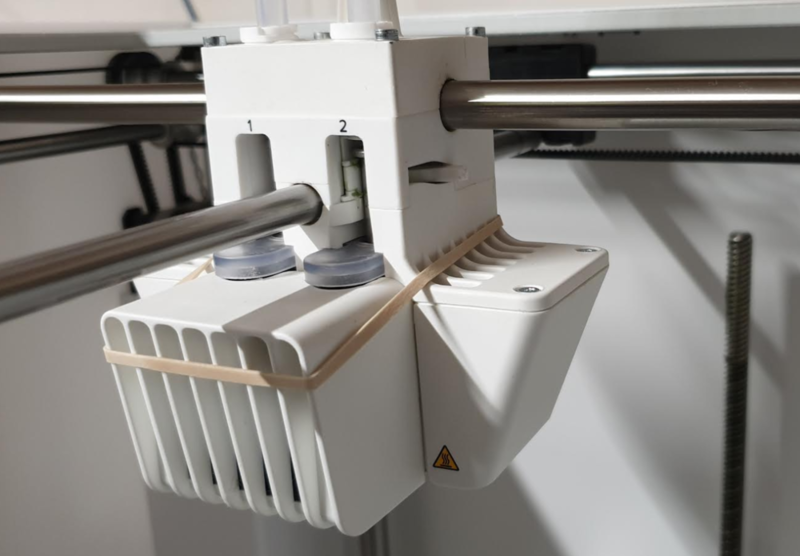 There's plenty benefits to use a duet over an Ultimaker board, to name a few, the machine will be network connected, and have newer stepper driver which make the machine much quieter. You also need to adjust the size in the printer, but in the "Tinker mark2" firmware you can just do this from the menu, so I don't think that should be a problem.